Britain has told a United Nations sanctions panel that Iran is actively trying to obtain nuclear technology through two blacklisted companies, according to a confidential report by the panel seen by Reuters. “The UK government informed the Panel on April 20, 2015 that it ‘is aware of an active Iranian nuclear procurement network which has been associated with Iran's Centrifuge Technology Company (TESA) and Kalay Electric Company (KEC),” the Panel of Experts said in its annual report. UN Security Council sanctions have been imposed on KEC, while the US and Europe have imposed sanctions on TESA, because of their alleged links to banned Iranian nuclear activities. Iran has repeatedly been accused of trying to circumvent sanctions by using front companies to purchase nuclear parts and technology. There is a June 30 deadline to reach a nuclear deal in which Iran would agree to limit and restrict its nuclear development programs in exchange for sanctions relief. The panel said the UK’s information had been received too recently to be independently verified, adding that no UN member states had reported cases of non-compliance involving Iranian nuclear procurement. “The current situation with reporting could reflect a general reduction of procurement activities by the Iranian side or a political decision by some member states to refrain from reporting to avoid any possible negative impact on ongoing negotiations between ... Iran and (major powers),” the panel states, according to Reuters. The six major world powers (China, France, Russia, UK, US and Germany) and Iran agreed on a preliminary deal on April 2, with Iran committing to reduce the number of centrifuges it operates. These centrifuges are used to purify uranium for use as fuel in power plants, but can also potentially be used in weapons. 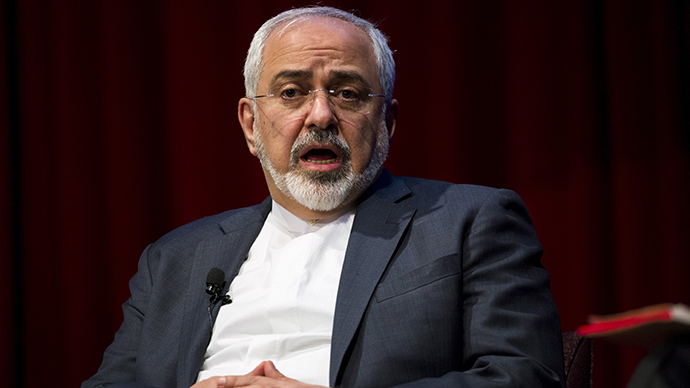 Iran insists that sanctions have to be lifted before it will approve any final agreement and has repeatedly denied that it is trying to develop nuclear weapons. In November 2013, Iran agreed to reduce its nuclear activities, including enrichment. The UN imposed sanctions on Iran in 2006 as fears rose that Iran was trying to build an atomic bomb. The sanctions ban Iran from enriching uranium and developing ballistic missile technology. Additional US and EU sanctions have damaged Iran’s economy.